Delhi, the capital city of India, is one of the hot favorite tourist destinations in India that represents a mirror image of glorious past and rich cultural heritage of the country. Now this cosmopolitan city is considered as one of the Asia's most popular and electrifying hotspots with a lot to see. Every year, this amazing metro city hosts a huge number of tourists from all parts of the world and with an aim of making their visit full of enjoy, India Travel Services, the leading travel agent in India, offers you attractive and budget friendly tour packages. This Delhi travel agent knows the requirement of modern tourists; thus, endows them with state-of-the-art facilities, luxury accommodation, sightseeing and almost all the facilities that every tourist wish for. World famous attractions like India Gate, Qutub-Minar, Red Fort, Lotus Temple, Akshar Dham temple, Jama-Masjid, Birla temple, Humayu's Tomb, Jantar Mantar, National zoo, Dolls Museum, Parliament house, president house, embassies of different countries and numerous others keep travelers abound for a long time. We, India Travel Services, are known as a leading Delhi Travel agent makes it extremely simple to visit all the attractive places of the capital city in a unique way. 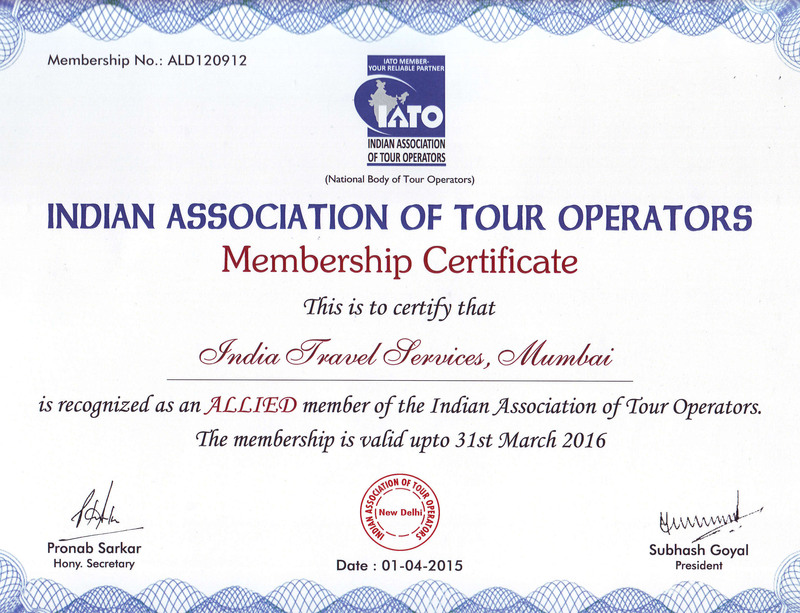 For this, we offer you an advance booking option through our online wing named Tour-India-net. Now it is extremely simple and hassle free to explore the city by availing the professional services of this well-known Delhi travel agent. We designed and planned Delhi tour packages by keeping the travelers' taste and preference in mind. Interestingly, we show all these attractions along with Delhi shopping bazaars. So don't wait, book your tour right now. Like other popular destinations, Delhi remains vibrant throughout the year round, despite the weather conditions. Delhi's attention-grabbing and beautiful grand historical monuments and tombs perfectly exemplify the ancient and contemporary styles of modern art which does not stay behind in capturing attention of every visitor. Exploring Delhi by availing the professional services of Delhi travel agent is surely going to add long lasting memories to your lifetime. We at 'ITS'- Indian Travel Services ensure you to provide gamut of services ranging from offering customized tour packages, arranging hotels to ticket booking at the most reasonable prices through our Delhi travel agents. Our entire Delhi tour packages have been designed keeping in mind with the customers' tastes and preferences and will show you major tourist attraction spots along with famous "Delhi shopping bazaars". Delhi travel agents of ITS cover wide a wide range of tourists' places, which hold educational as well as political importance in India. India Gate - India Gate-India gate is a 42 metre high, free standing arch, which is built and designed in 1911 by Luytens. It was built in the honor of Indian soldiers who have lost their lives in the World War I. An eternal blaze, commonly refers to as Amar Jawan Jyoti, lights here to pay tribute to these immortal soldiers. Red Fort or Lal Quila - It is considered as one of the most magnificent palaces of India which is being chosen as a propitious site, from where the Indian Prime Minister addresses the nation on the eve of Independence Day. Built by Shah Jahan in the 17 century, Red Fort is a brilliant example of Mughal Architecture which keeps on reminding the intricate carvings of Mogul monuments till the moment also. .
Qutab Minar - Located at the southern part of Delhi; Qutab Minar (tower) is 72.5 metres high and built by Qutab-ud-din Aibak. This historical tower signifies the advent of Muslim rule in Indian dynasty. Rashtrapati Bhawan - Popularly known as official residence of India's President, this Bhawan was the official residence of the Viceroy during the British period in India. This architectural brilliance is spread over 330 acres of land and comprise of beautiful Mughal Gardens. Jantar Mantar - The Jantar Mantar observatory is built by the Rajput King in 1724. It was believed that this observatory had been built with masonry instruments for observing the stars and planets movements. Lotus Temple - The famous lotus-shaped temple is built by Bahai community that never stops to allure the attention of myriad tourists. The temple is set amidst pools and gardens and welcomes devotee of every religion to visit the temple and recite prayers or meditate silently in the serene ambience of temple. Humayun's Tomb - Humayun's tomb is one of the finest examples of Mughal architecture which was built by emperor's grieving widow, Haji Begum, in 1565 AD. Designed by Persian architect, this tomb was built with red sandstone and ornate style of Persian tradition. Akshardham temple - This beautiful edifice is built on the banks of Yamuna River under the patronage of BAPS. The main monument is 141 foot high and houses a majestic statue of Lord Swaminarayan. The unique feature of the temple is that it took more than 2 years to build. The temple perfectly amalgamates the architectural style of Gujarati, Orissi, Jain, Rajasthani, and Mughal temples. For shopaholic people, Delhi always tops the chart of being considered as one of the favorite shopping destinations. On the special recommendation of our Delhi travel agent, we have covered an extensive overview of Delhi's main market in our "tailor-made Delhi Tour packages". Delhi's main shopping markets include Chandni Chowk, Dilli or Delhi Haat, Janpath market, Sarojini Nagar market, etc. We at ITS never stay behind in offering customized services to our esteem customers with respect to tour itineraries, hotel arrangements, ticket booking and other required car rental services. By availing the services of our skillful and professional multilingual team of Delhi travel agents, we assure you to enrich with a golden opportunity of uncovering historic and striking beauty of Delhi's innumerable monuments. Come with us and do not forget to avail the proficient services of our Delhi travel agents in order to have a whale of time while making tour to India. Apart from the services which we have mentioned above if there is something else you are looking for, then we would feel oblige in creating a personalize-itinerary only for YOUR convenience!